What makes Integral Coaching Unique? What makes Integral Coaching unique, profound and transformative? 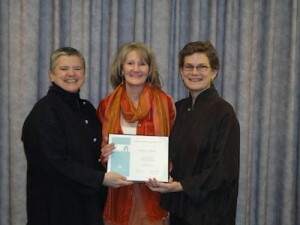 Integral Coaching Canada (ICC) training has captured the essence of being human and engaging life. Human beings are wired to grow – it is one aspect of our nature. When we stop growing, we metaphorically and metaphysically start dying. Nothing stays static. Growth requires intention and practice, which results in embodied wisdom. Practice is engaging in your precious life – over and over again – to see new insights that expand your heart and ways of relating to others and the world. In all of the roles I play in life (whether as an integral coach, a financial planner, mother, partner, spouse, neighbor…), I experience a continuous flow of connection; these connections are real and naked. This means that I laugh and cry a lot more. The elegant scaffolding of ICC is a doorway to intimacy. Are you willing to step through it? Being with others in all situations has a resonance like I had never experienced prior to my involvement with ICC. I see and experience my spouse and children in new ways. Clients are held with grace, a kinder and more grounded care. In professional circles offerings arise with ease – from somewhere other than me – that support the collective unfolding of evolution. When I joined the ICC lineage, founder Joanne Hunt boldly stated, “You are going to die.” Embodying the ICC methodology and the truth of impermanence creates a chance to truly live.